In our previous articles, we’ve taken a look at procurement (which consists of obtaining the relevant quotations and securing the product or service with a purchase order from your company. We’ve also taken a look at the 5 point checklist for correctly documenting receipt of the service or the product. Timely invoice processing and the frustration, when it’s not. Next up you will receive your vendor invoice (hopefully). Through a lot of teeth grinding experience I have learned that some vendors are not very accurate & consistent with their invoicing. If you’re reading this article, this may be your experience as well! This can be extremely frustrating, to say the least. The following could be problematic when you’re working with a vendor that falls in this category. You receive your invoices too late for processing within the correct accounting period (same as your transaction date). You don’t receive the invoice (at all!!) and after you receive the vendor statement (by some miracle) you waste valuable time with a full reconciliation to enable you to pinpoint the exact impact the outstanding invoices will have on the Accounts Payable division and the financial department at large. Valuable time and resources are used to request outstanding documents or to report on outstanding documents. It might not make sense to you at the moment, why this would create problems. Bear with me. I’ll explain in more detail. In a small business environment, the impact of these disruptions in your AP process may not be noticed or would perhaps even be welcomed if you are having cash flow constraints (Since we only pay legitimate & accurate invoices). When your department, however, process large volumes of invoices daily it starts affecting the department negatively and also creates a bottle-neck in your workflow and cash flow! Why outstanding, late or inaccurate invoices create such a problem for AP. If there’s one thing I can teach you about AP it’s this, reduce & manage expenses! So what do we do to reduce expenses? We budget! You’re working on a new development project, for which you budgeted R500 000 for building your new offices (payment due projection – end of November 2018). You have a 30 day from statement payment terms agreement with this vendor. Your invoice is dated 14 October 2018. You don’t receive the invoice before your month-end cut-off on 3 November 2018. Your statement date is 31 October 2018. You have to amend your cash flow, and not overspend, so the R500k will be available for payment when (at last) the invoice is processed. This could easily mean that the payment will be held over until the next payment run, which would be at the end of December. Your vendor will be unhappy and this payment may attract interest or you may lose any discount you could have received. Lastly, but most important of all, processing the invoice in the next accounting period (November) will result in an enquiry from the account executive. A budget report showing budget projection vs actuals will flag this invoice. 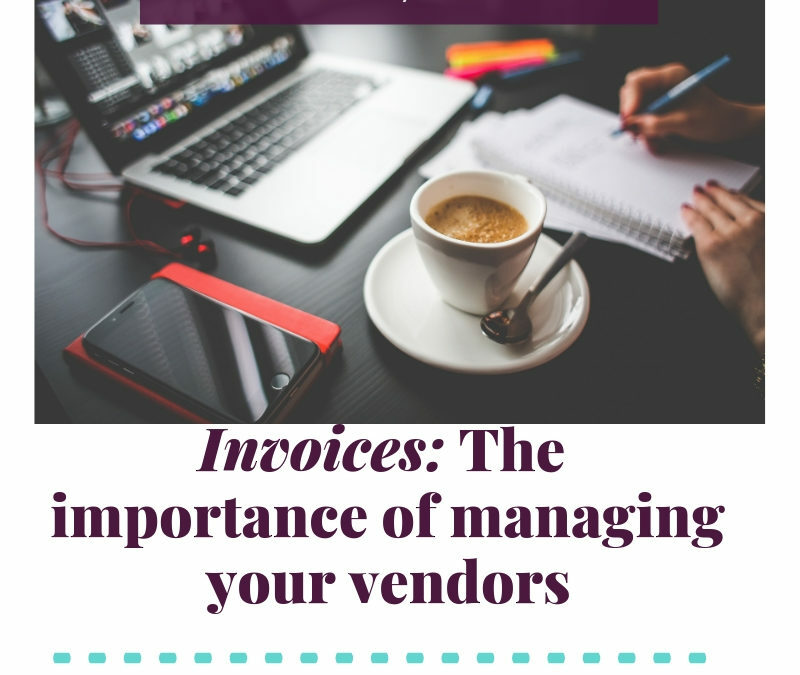 Striking a balance between chasing after invoices & ensuring vendor responsibility. Never, ever, ever let your vendors get the idea that you will be chasing after the outstanding invoices! They must always be held accountable for submitting the correct documentation on-time, for processing & payment purposes. They need to take responsibility and understand that ultimately they will reap the benefits in their own cash flow if their invoice process runs seamlessly. That being said, my advice to you, dear accounts payable person, follow-up, follow-up, follow-up! Make sure that all open orders are followed up regularly – not just once a month! Yes, I know, you have other work to do as well, right? The reality is, minimizing your frustration and ensuring productivity means you have to take responsibility for managing your vendors. It’s up to YOU to set the standard, to communicate the challenges and to train them in your company procedures. Hope you enjoyed the final edition in this 3 Part Series on Accounts Payable. Disclaimer: This blog by no means claims to give accounting or financial advice of any nature. This goal of this blog is to get individuals in the finance department thinking about the bigger picture. Too often we don’t realise the importance of our individual roles within an organisation and this leads to miscommunication, frustration, feelings of not being valued and overwhelm. With my experience in the industry, I would like to give individuals some room for thought and hopefully some insight into the workings of some finance departments. Most often the only change needed is a perspective adjustment, to find new solutions to old problems. For more on Corne and how her business Virtually Centered Solutions can assist you, please do visit our members page.